On1 states that this update will come with a significant performance boost that will be evident across the Browse, Develop, and Effects modules. Switching between modules and flipping through images in the filmstrip should allow them to render near instantaneously. There also should be a performance boost when using any brush. A LUT filter will be added to the Effects module. 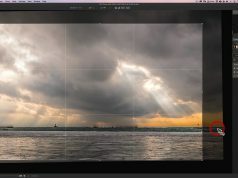 A Look Up Table, or LUT, allows you to add many stylized expressions to your image. The LUT filter will come preloaded with several LUTs plus you’ll have the opportunity to add your own or any LUTs purchased from a third party. 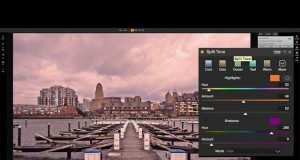 Many of you know that I have two packs of LUTs for Luminar. Those LUTs will work with the new On1 LUT filter as well! Many of you have emailed me asking if On1 Photo RAW 2018 supports OEM camera profiles. Those are the profiles that come with your camera. For example, Fuji users know them as Film Simulations such as Provia, Velvia, Astia, Classic Chrome and several others. Unfortunately, On1 doesn’t recognize any OEM camera profiles but the good news is, this update will! 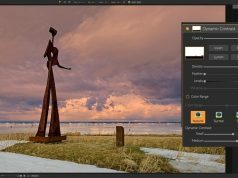 I know of several photographers that wouldn’t switch to On1 because of their lack of Camera Profile support. When this update is released, those folks will be all set. 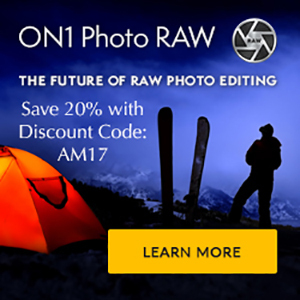 On1 offers a fully-working, non-crippled, 30-day demo of On1 Photo RAW 2018. 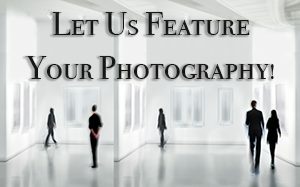 CLICK HERE or on the banner above to try it out for free. Unlike Lightroom, there is NO SUBSCRIPTION. If you decide you like it and want to buy it, you own it and will not have to worry about any monthly payments. If you do buy, use the link above or CLICK HERE and use my discount code, AM17, to save an additional 20%. Full Disclosure: I am an affiliate for On1 Software. Please read my Code of Ethics Statement — CLICK HERE. 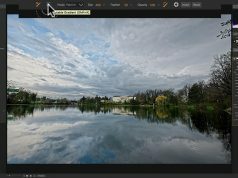 Once you download your demo copy, watch my video series, Mastering On1 Photo RAW 2018, located above, to learn everything about the software and become an On1 Photo RAW 2018 Master! You may also want to purchase my On1 Effects Presets to achieve many stylized looks to your images. CLICK HERE to find out more.